How can I add a CC (carbon copy) to a campaign? Sometimes you just need to add a BCC to your outreach emails. Here's the simple instruction on how to do this for your Reply campaigns. Open the Steps tab of the Campaign page. Hover over a template you want to add a CC and click Edit. 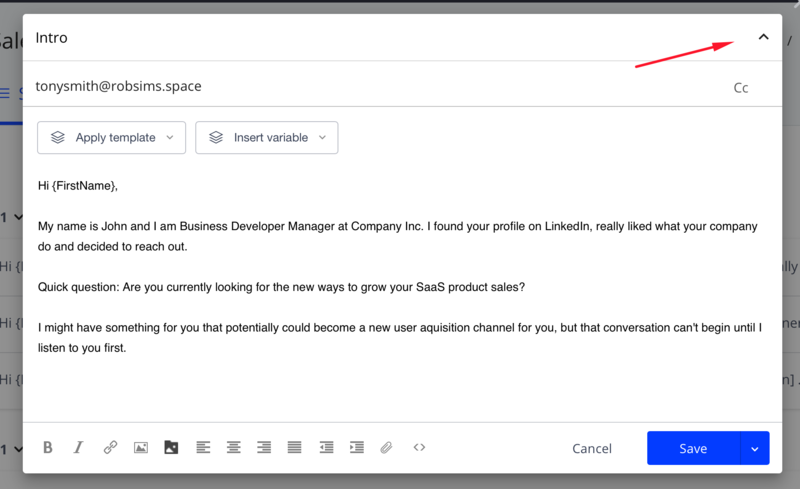 Click on the arrow in the top right corner of the Edit template window to open the Enter email field. In the Enter email field, type the email address you want to receive a CC. Note: you must add a CC to each template separately.